One of our teammates houses got robbed recently and we wanted to create an affordable surveillance system that would prevent and alert companies and families of suspicious individuals. Using a camera module, any machine that can run python takes video input using opencv and sends it to our secure servers. The video input are decoded into frames and are analyzed using our face classification model built on top of tensor flow. We are able to differentiate between friendly faces and potential intruders using our implementation of the facenet algorithm that relies on the faces stored in the user's private database of employees/residents. Users are alerted via the ios app and can choose to take action from there. 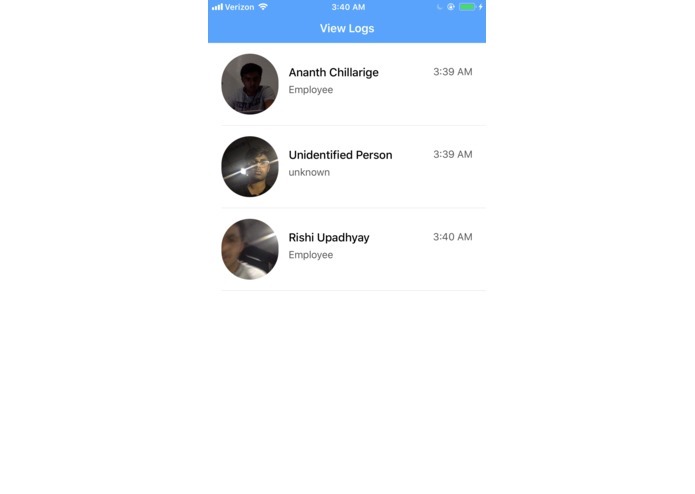 The ios app also keeps a secure log of employees that have entered the company and logs their hours and also triggers a security system if an unknown person is present. We used opencv to attain frames form the video input. We then sent these frames to the backend built on flask. Here we used the facenet algorithm to create 128 dimensional vector embeddings that represent each face. We then compared these embeddings using the suport vector machine algorithm to determine if the face is of an employee/resident or an intruder. 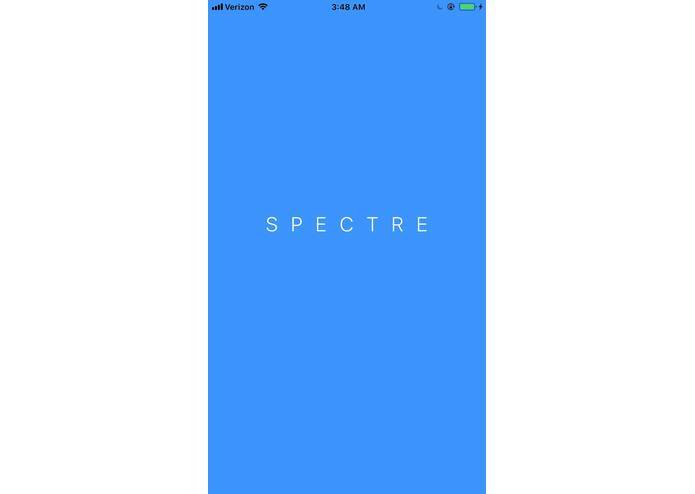 This was then transmitted to the ios app which would display logs of employees/residents entering the location and also alerts of intruders entering the building. 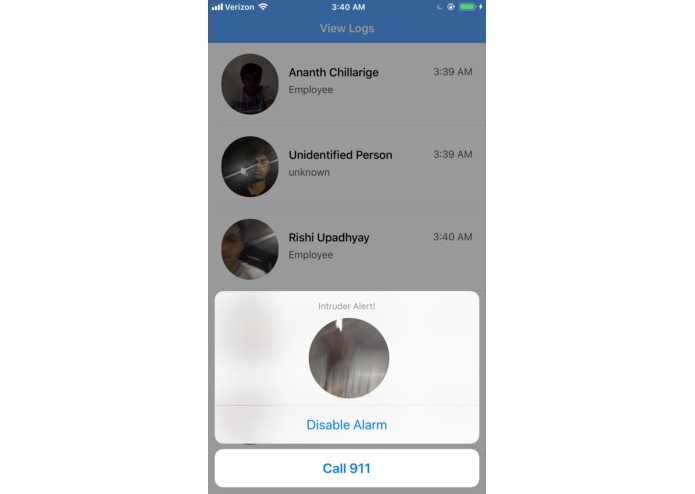 The alerts give the user an opportunity to call the cops, or disable the security alarm.